As a subsidiary of Teltronic S.A.U., PowerTrunk® Inc. handles the business development, customer support, and distribution for Teltronic land mobile radio projects throughout North America. Headquartered in Jersey City in New Jersey, the company focuses on serving clients on the east coast, but also has locations across the globe, including Mexico, Spain, Brazil, and Singapore. With more than 40 years of experience implementing communication solutions for the industry, public safety, transportation, and utilities sectors. Their 300 network references span 50 countries, and their flexibility and custom services allow complete demanding communication system installations. 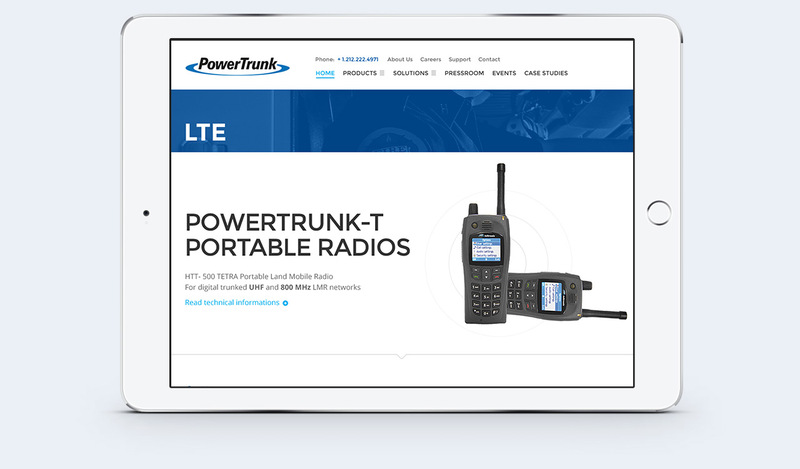 While PowerTrunk specializes in TETRA technology, they also offer a variety of alternatives based on their in-house APCO 25, LTE technologies, and CAD platforms. 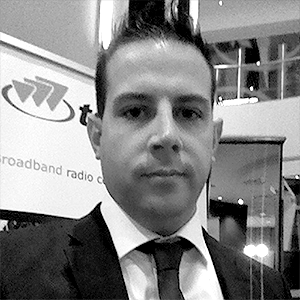 They work on a turnkey basis and maintain flexibility with every customer. Incore's intention for PowerTrunk was to build a solid digital presence that catches the attention of current and prospective clientele. A redesign of the website was necessary in order to reduce clutter, thus making it easier for customers to find the precise information they need. Incore also sought to expedite the load time on the website by rewriting the code and stabilizing the hosting situation. 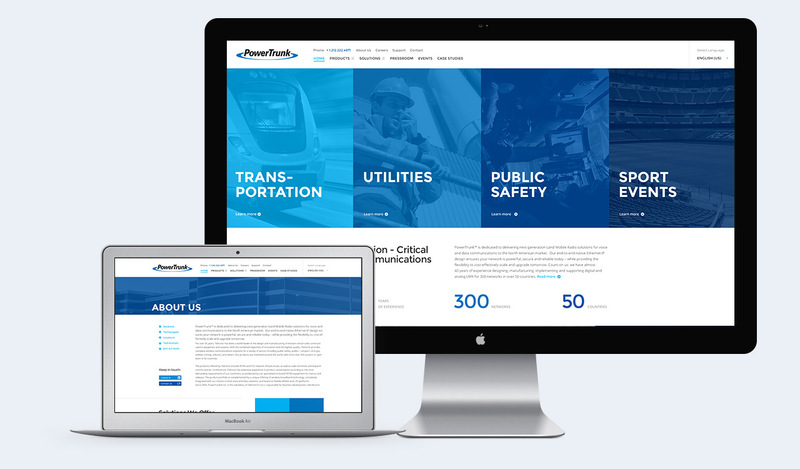 Overall, we wanted to give PowerTrunk’s website a sleek, professional overhaul in order to highlight their services and give them an edge over their competitors. 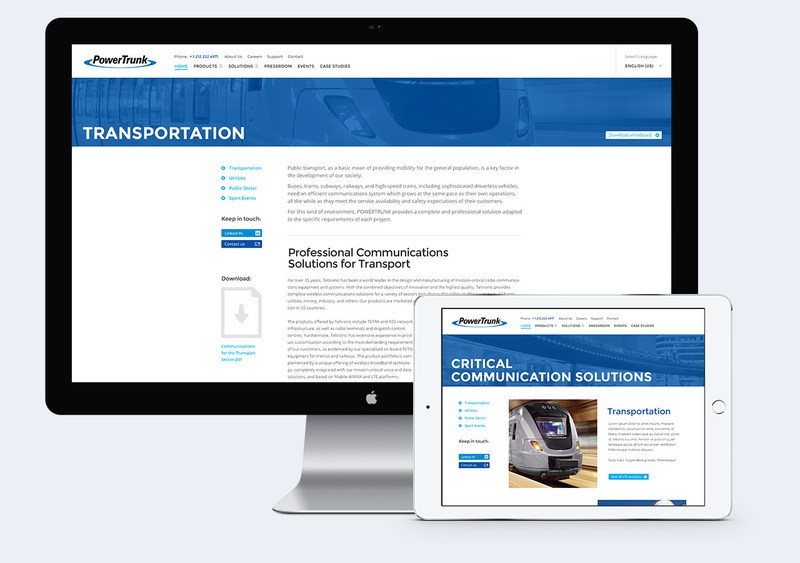 Incore worked closely with PowerTrunk to design and develop a website that benefits their customer base and also effectively markets their business. We integrated a simple content management system that allows clients to make changes to their website without having to learn any programming skills. In addition, we improved the presentation of their content and helped them tell their story in a unique, yet simple way. We also incorporated SEO best practices in order to ensure that their site appears on all search engines. Since a company’s logo and signature colors are both effective ways of standing out from competitors, we made PowerTrunk’s new site consistent with their old one, keeping their logo and colors intact to create a smooth transition for the business and the customer. In redesigning PowerTrunk’s website, Incore used the most contemporary technologies. In addition to the visual design improvement, we also provided content structuring, information architecture, and clutter removal. We also made it easy for PowerTrunk to monitor the website’s success by implementing tools that allow them to track both user engagement and behavior. The sleek interface gives the website a wealth of information in a flexible presentation. INCORE asked us to trust them, we did. In return they took our online image to another level, no more status quo.